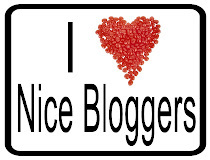 The Mommy Awards: New Award Topic - Best Class Mom! New Award Topic - Best Class Mom! Image found at http://www.bbbskw.org/ - thanks! As school is starting, we find ourselves getting involved with our children's classes. So this award is for those who help out in any class, in any way. I have several friends that homeschool and being a "Class Mom" takes on even more significance. I can't wait to hear your stories about helping out children. I have been a teacher and a classroom mom, so I have seen from both perspectives how important it is for parent's to be involved in their children's education. Da, da, da, da.... (scary music) this is my big Soapbox topic .... In my opinion, this is what makes Utah schools successful. We have some of THE LOWEST spending in the nation, but our scores are some of the highest. I think that a lot of that can be accredited to the involvement of families in their children's lives. As that demographic factor changes, I think you will see Utah's scores slide down significantly. (okay - I'm off my soapbox now). Now, for those of you who haven't been in the classroom yet, think back to when you were a kid. Was there a mom that came in often to read? Was there a mom who taught you the Hokey Pokey? What about the mom that was always out in the playground making sure kids were safe? 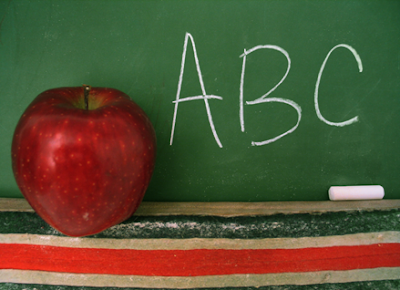 There are so many ways moms can help out in the classroom, where would we be without them? One example of a Class Mom that comes to mind is (Warning - this is an extreme example) my Sister-in-law Linsey. She is either incredible or crazy, still wondering about that one, but man she can pull off some GREAT class parties. (Linsey - you know I think the world of you :) ) Imagine turning the classroom into a train, providing the children beautiful tickets and taking them to the north pole to meet Santa (yes, a recreation of the Polar Express). Don't ask how many hours she spent planning that one, none of us can count that high. Then, she did a fun Candyland themed Valentine's Day party which inspired me to do THIS for my daughter's Kindergarten Field Day last spring. There are so many ways we can help out in our children's education - I would love to hear what you do, even if it isn't in a formal classroom, even if it isn't an incredible class party. I would love to hear the stories of things you have done or things you remember from your youth ... what did your mom do for you (or grandma or aunt or best friend's mom - there's so many we can turn to on this topic). 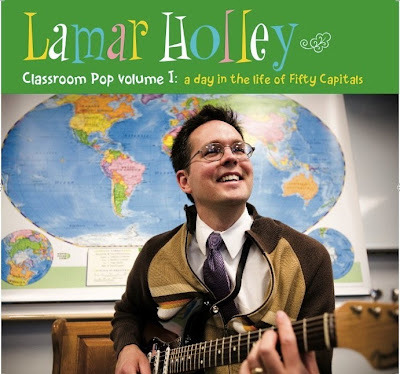 OH YEAH - My Brother-in-law Lamar (yes Linsey's husband) has a CD out titled Classroom Pop, vol. 1. This OLD POST of mine tells a little more about the CD - you'll want one. I think I'll give away a copy of his CD to The Best Class Mom winner this week. And, I am assuming I will have to do a drawing again - so don't worry if you don't think you have an incredible story, share the story you have, whatever it is. Or share your mom's story and if you win, you can give her the CD and then she'll probably give it back to you saying, "You can use this more than me" - aren't moms wonderful that way? Happy helping everyone! and Happy Sharing! I guess I'll get it started ... I am nominating my own Mom for Best Class Mom. In high school she was one of the chaparones for the band trip to Southern Cali and she was "The Cool Mom" on the trip. The drum section just loved her - funny, huh. Okay - I have one more - Mrs. Kirkham, also from band. She worked so hard to help us get new uniforms (which I hated, just because I hated marching in wool uniforms in 90+ degree heat). Anyhow, I don't think she got all the respect she deserved for how hard she worked. She was a very dedicated Class Mom who gave a lot to our band. Okay, I'm nominating my mom as well. When I was in elementary school in California, we didn't have a music teacher. So when I was in kindergarten my mom and dad volunteered to come in and sing with us. My dad played the guitar and they taught us all sorts of fun songs. Then as we got older, the school decided to put together a 4-6 grade chorus. Guess who was first in line to volunteer to put it together. And these weren't just concerts. My mom planned HUGE productions for about 150 kids. There was a Broadway themed one, and the Hawaiian themed one, and then "Songs your parents know but are afraid to admit" themed one. She wrote the programs. She taught us songs and dances. She made all the costumes. She helped us put together small group skits and lip syncs. I can still remember all the words to most of the songs she taught us. She was amazing and everyone LOVED her!